Optocouplers included in Piab’s piCOMPACT®23 SMART vacuum ejector to ensure extra safe operation. Taby, Sweden – Safety is paramount in the next generation of Piab’s popular vacuum generator platform piCOMPACT®23. 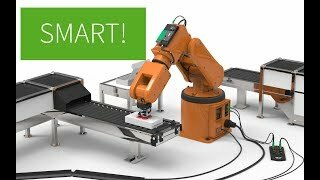 Equipped with optocouplers, the new piCOMPACT®23 SMART offers superior safety features in vacuum systems used for automatic handling of heavy and/or expensive items. The automotive sector is one example of an industry where large and cumbersome metal parts are being continuously handled, and where the safety of operators and parts is considered an unconditional priority. The optocouplers included in the piCOMPACT®23 SMART vacuum platform creates an isolated barrier between actuator and sensor lines, adding another level of safety by further limiting the risk of accidental equipment damage or personal injury. In separating sensor lines from those of actuators for valves or other moving parts, the optocouplers ensure that faulty connections or accidental power failures will not result in dangerous situations such as valves opening unexpectedly, cylinders moving when they are not supposed to, or robot arms swinging in the wrong direction. For instance, in situations where the power supply to one device in the system is accidentally cut, shorted or perhaps wrongly connected during maintenance work, this will not lead to cascading problems and breakdown in the rest of the system. The optocouplers included in Piab’s latest all-in-one vacuum ejector offer a smart way of containing such problems, preventing them from evolving into critical situations. Moreover, all casings and electrical enclosures fulfil the IP65 standard, making piCOMPACT®23 SMART a highly robust, reliable and user-safe vacuum system. It is designed to keep operators safe even in very harsh and rugged industrial environments. 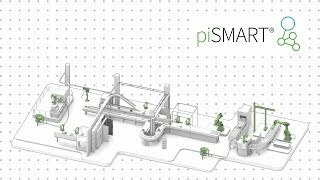 These extra safety measures are just some of a number of new SMART and user-friendly features offered as standard in Piab’s piCOMPACT®23 SMART. Ready for use in the smart factories of the future, it is also equipped with a new gyro-based display function that simplifies readings, reducing the number of mistakes and increasing productivity. The new SMART generation of vacuum ejectors is ready to utilise and take full advantage of the benefits offered by an information-rich and connected Industry 4.0 future. Piab provides smart solutions for the automated world, helping thousands of end users and machine producers in e-commerce logistics, food, pharma, automotive and other manufacturing industries to improve energy-efficiency, productivity and working environments. With almost 500 employees and SEK 1.2bn in sales 2018, Piab is a global organization, serving customers in almost 70 countries from a network of subsidiaries and distributors. By leveraging the ongoing technological development in automation and robotics, and targeting high-growth segments and geographies, Piab's vision is to become the global leader in gripping and moving solutions.